It shouldn't come as any big surprise that we had to give you a separate top three list of the best places for booze in NoLa. (Read: Foodie Love: NoLa Edition here) Our husbands are members of a beer club, our friends own a craft beer store, our best friend is a former bartender, and we have been known to drink mixed drinks from princess cups for game nights. Said to be the oldest bar in the United States is conveniently situated on Bourbon Street. This bar is an old pirate bar, and boasts only the use of candle light, no modern day convinces here (well they do have a bathroom- but c'mon it's a bar!) Lafitte's has the BEST hurricane (and trust me, we tried alot) in NoLa. Made to order, no pre-made mixes, this drink is made with real juices and lots of the good stuff. Not only are the hurricanes out of this world, but the bar itself is just awesome. It's old and dark, lit by candlelight and housing a piano in the back where every evening someone is pounding the ivory and crooning out good jams. It really is a great place to hang and soak in all that NoLa has to offer. This place was always packed, and we didn't always get a seat (we may or may not have frequented this place many times over our five day trip- don't judge- it was research! ), so be prepared to take it to go (yes did I mention, open container city?! ), or stand outside. However you do it, get a hurricane at LaFitte's! Located at the Hotel Monteleone (off Royal Street) is probably one of the neatest actual bar set-ups I've seen. The bar is a slowly revolving carousel seating only 25. It opens at 11am so be sure to get there when it opens otherwise you won't be able to get a seat. We were lucky enough to arrive fairly early and snagged one seat. We rode once around and shared the love with another soul who was waiting for a spin around. This bar has all the enchanting, bright, giddiness of a real carousel plus the best Bloody Mary I've ever had. I'm not a fan of Bloody Marys but it was 11AM so it only seemed appropriate to order one. I'm glad I did because this thing was killer. Not only did it taste great, but it looked like a piece of art. (I could have eaten a whole jar of just those pickled green beans by themselves). Of course, I also had to try a sazerac while we were there too, after all, it is a New Orleans specialty. A sazerac is typically made with whisky, absinthe (yikes! ), bitters, and a sugar cube. I'm not a huge whisky fan so it was a tad strong for me, but if you are in NoLa, you have to try one. My husband loves whisky so this drink was right up his ally. Perfect to sit and sip on. Next on our stop of must-go places for a drink is right on Bourbon Street (shocker I know), Tropical Isle, home of the famous hand grenade which boasts the title of "New Orleans Most Powerful Drink". Now I have no idea what's in this fluorescent green concoction, and I'm sure I could google it, but what's the point, this drink is famous on Bourbon Street so just jump right in and give it a try. I mean really, they have a to-go window in the wall so you don't even have to go in, grab one on the way to wherever you're going (cash only though at to-go just FYI). They come served in an obnoxiously large and ridiculous cup which I feel are part of the fun of them, bright green straw and everything. They are even topped with a tiny, plastic grenade. You can either order on the rocks or blended (we opted for blended). I wouldn't say that I would want to drink a ton of these bad boys, they are pretty sweet and pretty potent, but if you are in NoLa, you most definitely have to stop by and try one (you can even bring home your cup as a souvenir!). 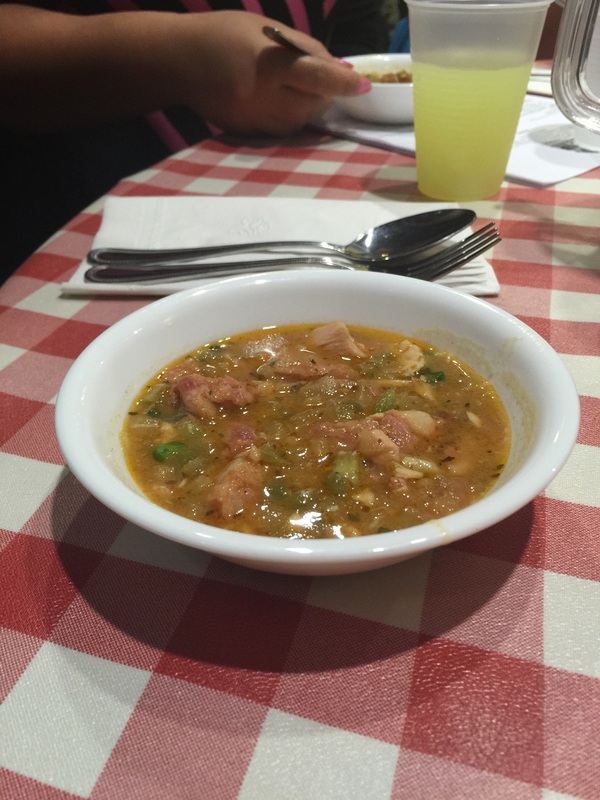 *** Read these related articles about NoLa Food, drinks, and places! What are your favorite spots to grab a drink while in NoLa? COMMENT BELOW AND LET US KNOW!! !